Here’s the thing about radios: they might save your life. After a major earthquake, modern communication devices will likely fail us. Cell networks will be damaged or jammed, landlines will be down, and your internet won’t be functioning. So how will we communicate with one another? A technology that was first developed over 100 years ago… amateur radio! Amateur Radio (ham radio) is a form of two-way radio communication. It is restricted to certain frequencies so that it won’t interfere with government, military, and commercial radio use. Amateur Radio Operators (aka: AROs or Hams) have basic knowledge of radio technology and operating principles and must be licensed by the Federal Communications Commission. The FCC created this designation so there would be a pool of radio experts who could provide backup during emergencies, and Hams have indeed proved themselves useful in this way. 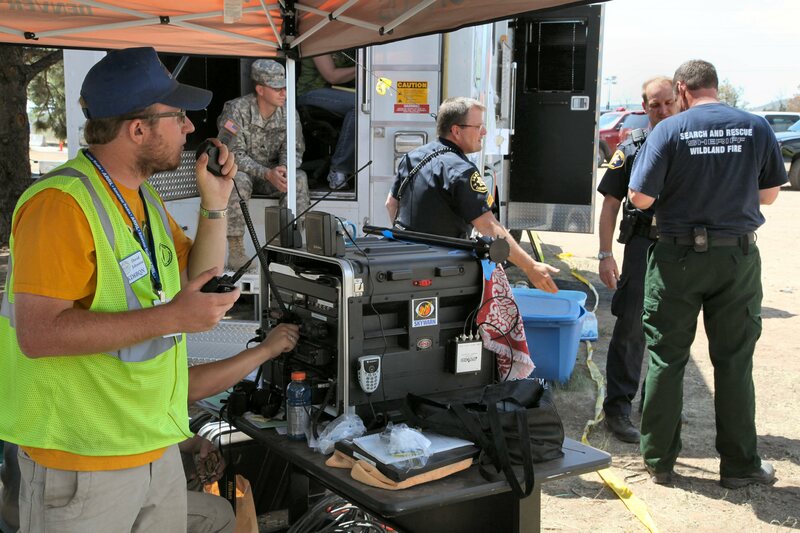 Amateur radio operators often volunteer at community events such as races where important information (like injury alerts or route issues) must be passed quickly to multiple people over long distances and an FRS/GMRS radio (aka: walkie talkie) wouldn’t have enough power to do the job. This is a great way for Ham operators to practice their skills. Many people have two-way radios that they’ve purchased for home use. Often called walkie talkies, these are either FRS or FRS/GMRS radios. FRS, or Family Radio Service, radios do not require a license to use. Like amateur radio, GMRS, or General Mobile Radio Service, radios do require a license to use. If you have a walkie talkie radio that includes both FRS and GMRS frequencies, you must be careful not to use the GMRS frequencies unless you have a license. An FRS/GMRS radio can usually only reach a few miles – or a few city blocks if there are buildings, trees, etc. obstructing the signal. Depending on the strength of the power source and the use of radio relays, amateur radios can communicate across the globe. Clearly the amateur radio is a better option for use in urban areas. And if you aren’t already sold on it, these days an amateur radio often costs less than an FRS/GMRS radio. I got my handheld Baofeng UV-5R on Amazon for $25! The Portland NET program often offers Ham classes. Once you’ve completed the NET Basic Training, you’ll have access to an array of advanced trainings, including amateur radio. The Piedmont Neighborhood Emergency Team is offering free Technician classes on April 30 and June 4, 2016. Register at http://pdxpiedmont.net. My next blog post will be about what to do once you’ve passed the test. 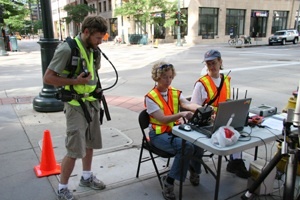 There are tons of great resources in Portland for new Hams who want to get practice using their radios.